It's crucial for retail investors to know the outcome they expect from the wide variety of liquid alts investing strategies. Boston, January 21, 2015 – U.S. financial advisors and their clients are looking for a new alternative beyond the traditional asset allocation choices—one that blends the advantages of alternatives in a simple product that provides greater liquidity. Unlike hedge funds, liquid alternatives are both liquid and accessible to average investors, but the wide variety of strategies in liquid alternative products requires extra due diligence. If the proper communication of liquid alts' longstanding benefits and improved investor education can be achieved, will retail investors have a case for investing in liquid alts? 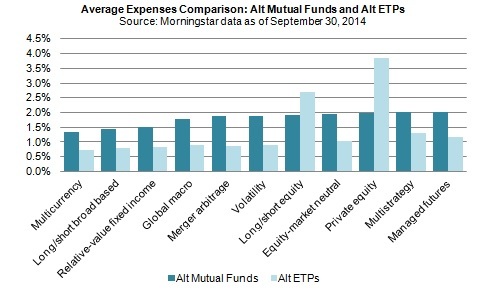 This research, based on publicly available data as well as 2014 interviews with liquid alts professionals at various organizations, examines the individual investment strategies offered through alternative mutual funds and ETPs in the United States today as well as their suitability for retail investors. It is the second in a series of two reports on this subject—find the first report here. This 71-page Impact Report contains eight figures and 44 tables. Clients of Aite Group's Institutional Securities & Investments service can download this report.